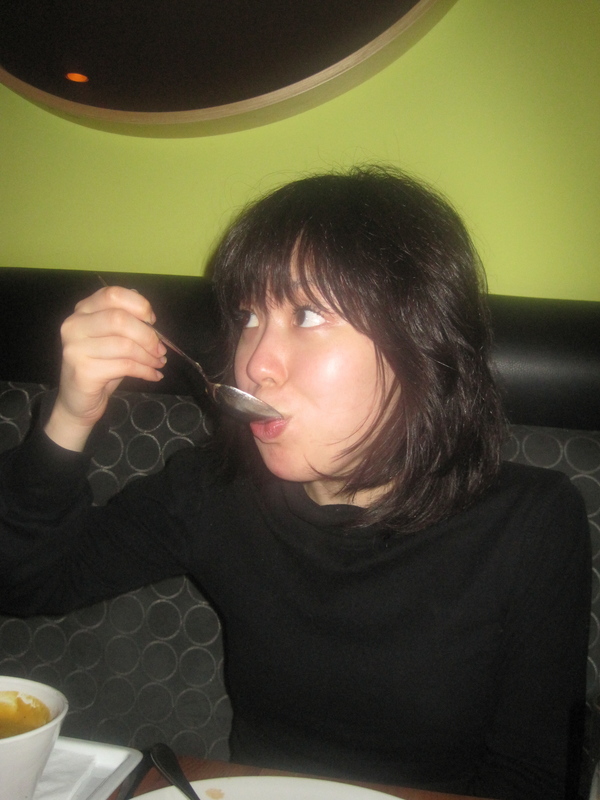 February 22, 2010: Out and about! Ganache Patisserie! Bistrot Bistro! Narrowing down our next book of the month club pick! And an Olympic update! 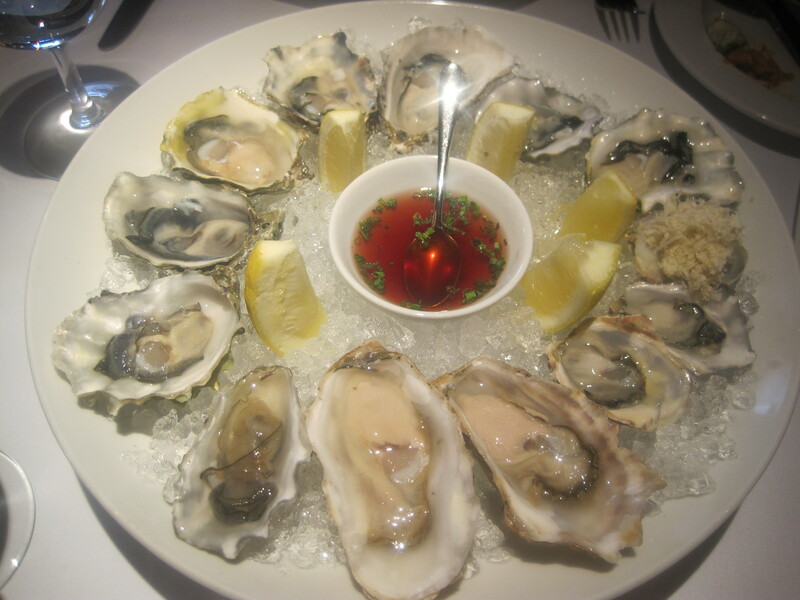 Akemi's favorite seafood: oysters on the half-shell. 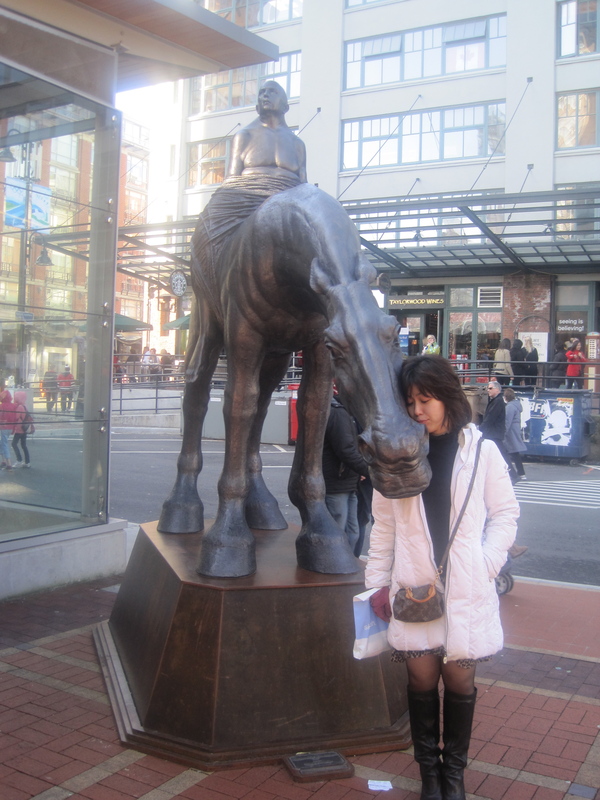 Feel free to name the statue. 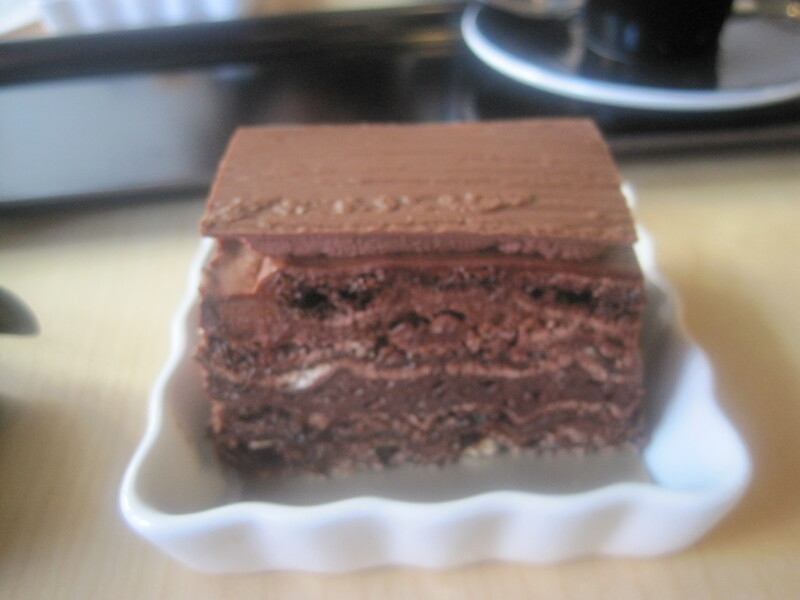 We eventually made our way back to the car which, conveniently enough, happened to be parked right our front Ganache Patisserie – so we stopped in for some dessert. 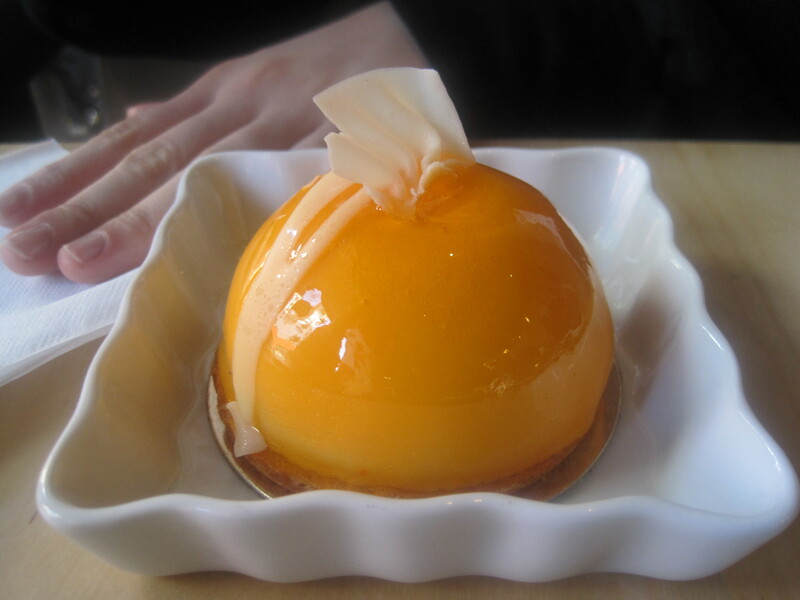 Akemi had the Citron-Mandarine: lemon cream, lemon curd, mandarine oranges, and almond dacquoise. While I went with my favorite, the Concorde-Praline: hazelnut cocoa meringue, chocolate guimauve, dark chocolate praline mousse, and chocolate chantilly. Killer! We took in an anime matinee in the home theater room, watching How’s Moving Castle which she loved and I found enjoyably odd but narratively scattered. We’ll probably check out Miyazai’s latest, Ponyo, today – although Akemi is eager for me to check out a series called Code Geass. We’ve been eating a lot of late so it was no surprise that, by the time our dinner reservations at Bistrot Bistro rolled around, we weren’t exactly ravenous. As a result, we ended up eating light. Well, fairly light. 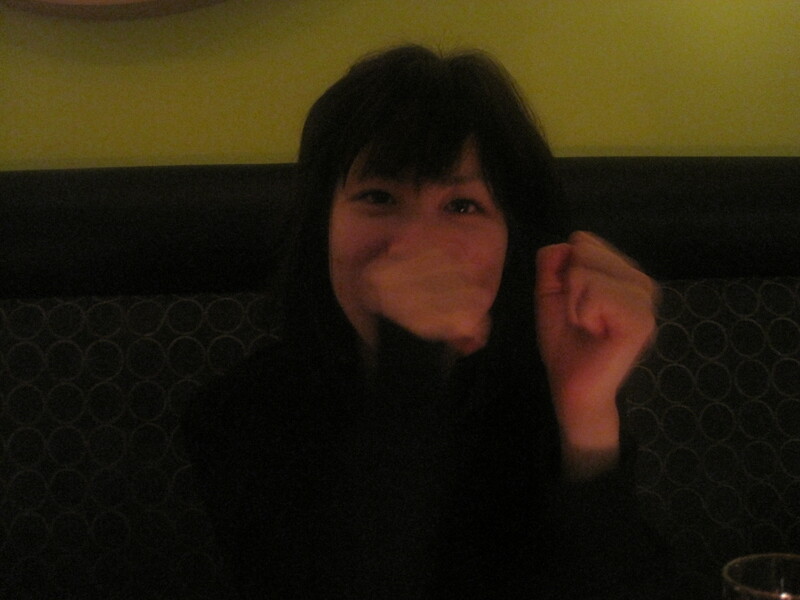 My delightful dining companion, Akemi. 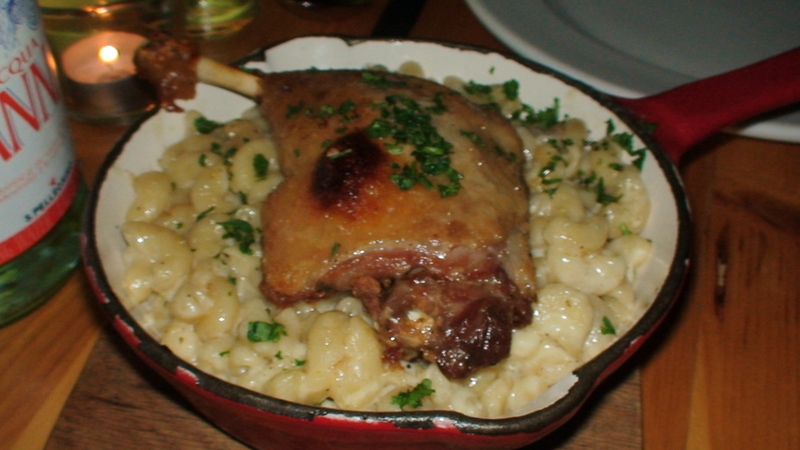 Decadent duck confit macaroni & cheese. 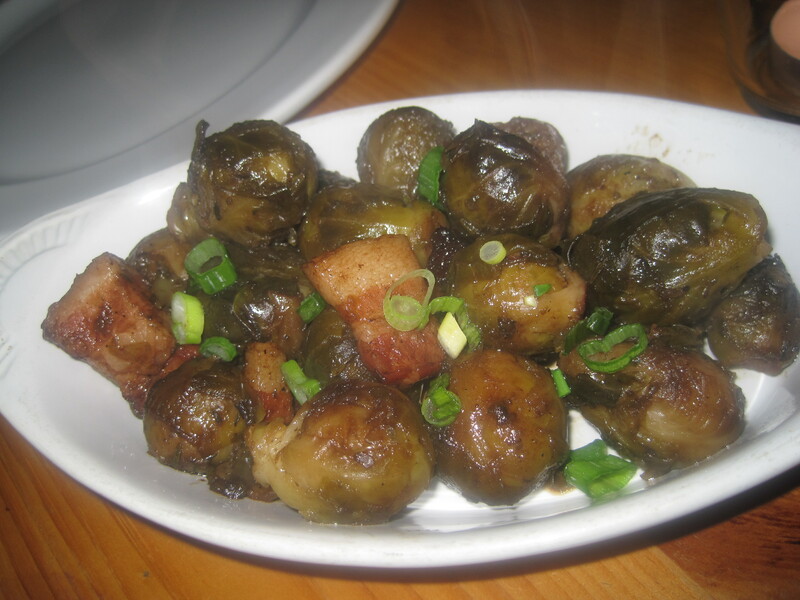 Brussel sprouts with bacon. It'll win over most die-hard brussel sprout-haters. 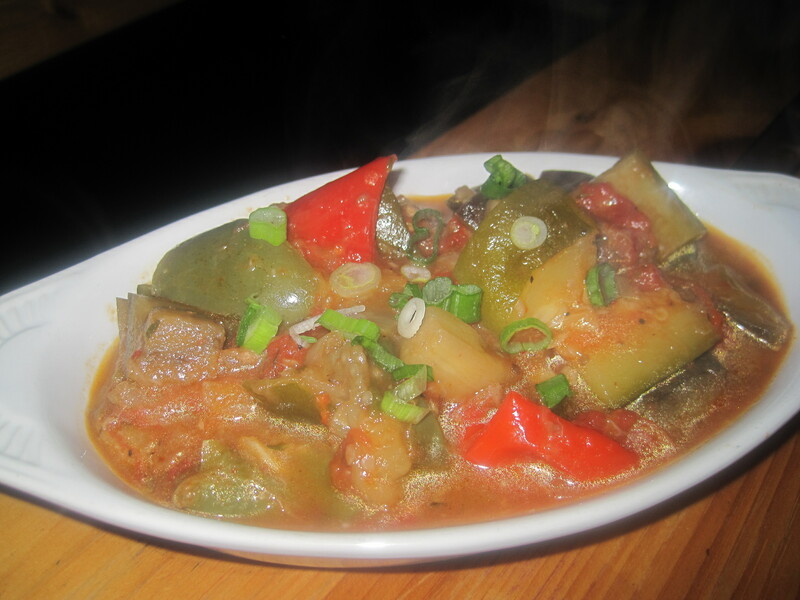 Akemi was wild about the house ratatouille. 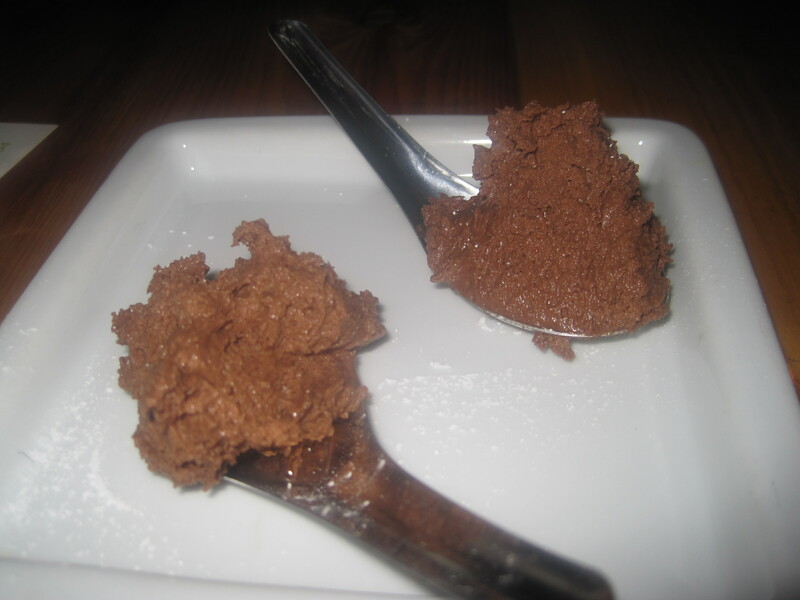 A sampling of the house chocolate mousse. Delicious. Bistrot Bistro scores top marks for food, service, its casual ambience - and the complimentary lollipops that accompany the bill. As I mentioned in yesterday’s entry, I’m considering suggestions for the April Book of the Month Club pick. While I’d love to do a classic, the reason I started this book club was to give new writers the opportunity to introduce themselves while allowing established authors to re-introduce themselves and hopefully pick up a few more avid readers along the way. The Q&A portion of the discussion is important as it offers insight into not only the works, but the individuals who give so much of themselves to create the stories we enjoy. So classics, while tempting, are problematic – unless the author is available to drop by and field our questions. Ideally, given that April fast approaches, it would be great to come up with a title that is readily available at most local bookstores – in affordable paperback version. Since I’ll be reading along with you, I’d like to make a special request for no potentially cheesy candidates. And finally, while I’m sure there are a lot of wonderful tie-in novels out there, they’re not my cup of tea. Sorry. So what’s going on with the Olympics? Well, I’m glad you asked. First up, Canadian fans are proving themselves jerks and poor sports: http://ca.sports.yahoo.com/olympics/vancouver/blog/fourth_place_medal/post/Candian-curling-fans-leave-Danish-player-in-tear?urn=oly,221320. If your athletes can’t win on their own merits or you can’t depend on the whims of those judges, then I suppose that’s one way to go. So you’re in Vancouver and wondering where the heck to go for dinner. Well, if you’re an actor guesting on our show, all you have to do is swing by my office and I’ll provide you with a rundown of my favorite local restaurants. From the Japanese hotdog stand serving up Oroshi hotdogs to the latest celebrity chef venture in the heart of downtown, I’ve got you covered. Don’t bother with that list you received from the production office and, for Godsake, don’t ask your hotel for suggestions. When I first came to Vancouver, I made the mistake of asking the concierge at The Sutton Place Hotel to recommend a really good sushi restaurant. He directed to me to one of those places where the sushi selections float by on little boats, endlessly circling the bar like weary Bangkok prostitutes working the floor. What’s that? 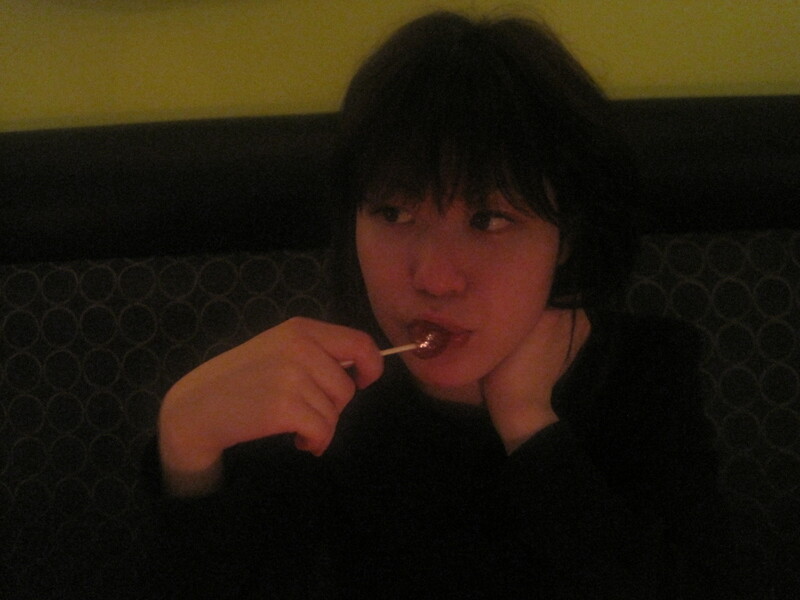 You say you’re NOT a visiting actor but nevertheless plan on eating while in Vancouver? And you’d rather not do conveyer belt sushi? Oooh, look at you, all hoity-toity! Well, okay. Here’s a peek at my list of favorites. Just do me a favor. If you check out any of them, report back. Oh, and while you’re in town, DO ask your concierge for a good recommendation and report back on that too. I’d love to hear what they come up with. Check out the list, then check out the mini mailbag. Today’s entry is dedicated to a hopefully-on-the-mend-soon Sessy. Japa Dog: A hot dog stand with a Japanese twist. 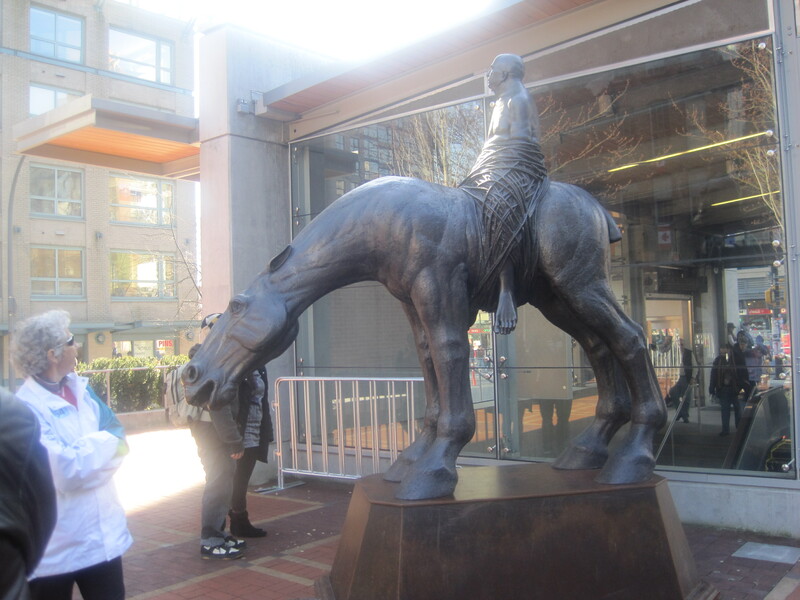 Located on the corner of Burrard and Haro, steps away from The Sutton Place Hotel, it offers – in addition to the more typical Bavarian smokies and bratwurst – turkey smokies with miso sauce, Kaiware, and Japanese mayo, and okonomiyaki-flavor kurobuta dogs. For a taste of almost everything on the menu, try the Memphis Feast. Finish with the pecan pie a la mode. Tiny, hole-in-the-wall, family-run restaurant. Try the wine chicken (best in the city) steamed dumplings, pig pot (pork shank served on a bed of spinach), or the house meatballs (with egg-yolk centers). *Cash only. They don’t take credit cards. A little out of the way and pricey, but you won’t find a better top quality Chinese restaurant. The house chicken is to die for. Casual and inexpensive handmade noodles (you can actually watch them being made). Try: the curried dragging noodles with barbecue pork, and the spicy cumin lamb. Great dim sum. Excellent: Lobster with Ginger and Green Onions, Peking Duck, Braised Abalone. Filipino food at its rib-sticking best. Check out the crispy pata (pork hocks) or the sizzling sisig (crispy pig ear). And, for dessert, the cheddar corn ice cream that tastes a lot better than it sounds. Rustic French country fare. 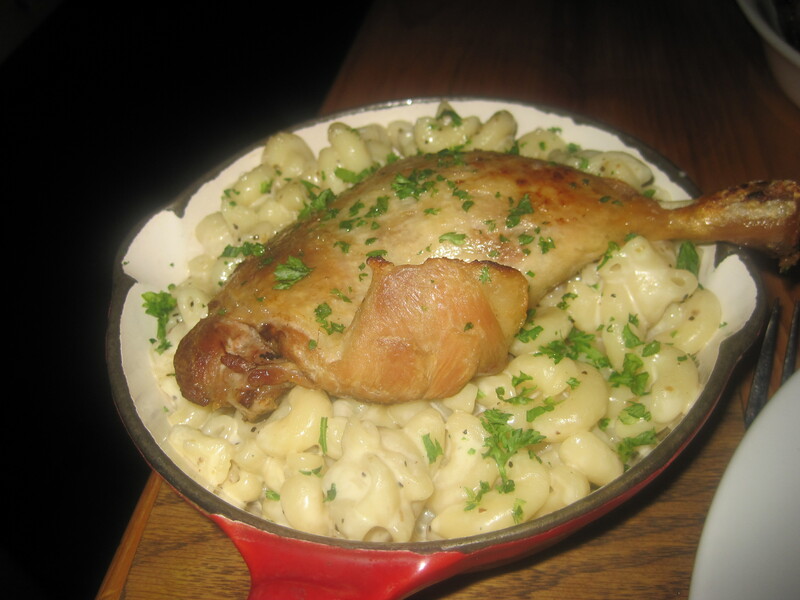 If it’s on the menu, try the duck confit mac and cheese. 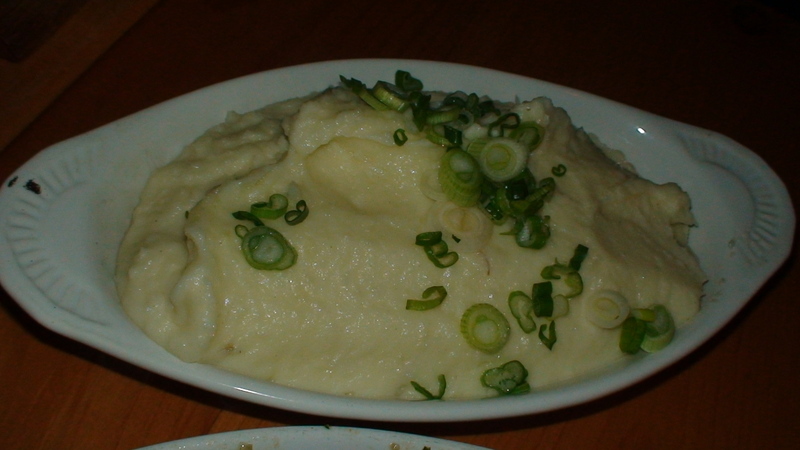 Rustic French cuisine served in earthenware pots. Huge portions. Excellent. Try the pear/goat cheese tart appetizer. Vij’s more casual sister restaurant. Try the Savory Chaat and the mutton kebabs. Inventive Indian cuisine and one of the city‘s best. Try the lamb Popsicles, short ribs, and the mutton kebabs. Get there early though as the restaurant doesn’t take reservations. Last time Harrison Ford was in town, even he had to wait. Great beef carpaccio and an excellent antipasto platter. Galetto (Cornish game hen), Spaghetti Quattro (black bean, garlic, and oil), and the House Tiramisu are excellent. More casual than Tojo’s and the emphasis here is less on the sushi and more on the creative small plates: meguro avocado crepes, isobe, spicy curry calamari, deep-fried spicy tuna rolls, and the green tea creme brulee. Don’t go expecting sushi. This place serves some of the best robata in the city. Tiny, but very authentic fare. In addition to the great grill items, check out the homemade tofu. Barbecue your own meal on tabletop grills. 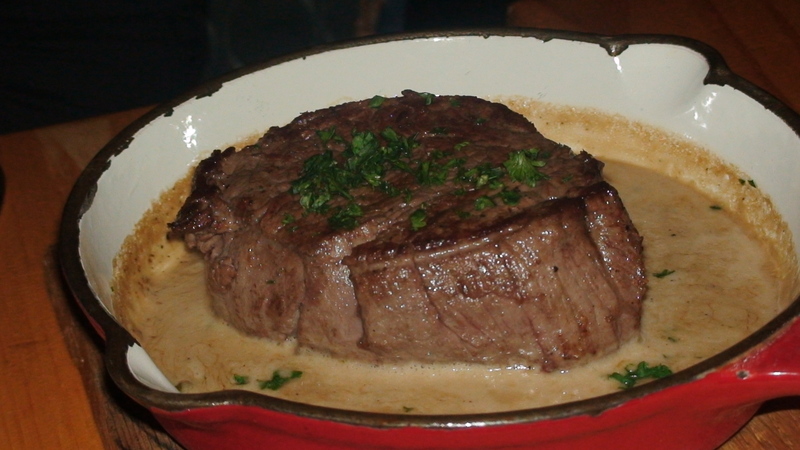 Try: the premium cut short ribs. Actually, Nuevo Latino Cuisine. Among the offerings: Patagonia battered Baja rockfish with chipotle ajo aioli, and Indian candied salmon tamale with green apple jalapeno jelly and platan. Great seafood. Try the Black Pepper/Garlic Cracked Crab. Very inventive, upscale regional cuisine. Named one of the top ten restaurants in the world by the UK Sunday Independent. Inexpensive Vietnamese. Closed Wednesdays and evenings after 7:00 p.m. Try: the pho, and the Vietnamese sandwiches. *Cash only. They don’t take credit cards. It don’t get much more hole-the-wall than this place. Serves up great pho, grilled lemongrass chicken, and, evenings, a seafood crepe that’s worth checking out. Ytimyona writes: “Haha I was gonna say I was surprised that Window of Opportunity and Ripple Effect aren’t your favorites, but I see I’ve already been beaten to the punch!”Answer: They’re certainly in my top 5, along with Morpheus (loved Vala’s psychiatric evaluation). Answer: Again, it really comes down to the performance. You can have to equally skilled actors but one may offer a different take on the character that a producer may more readily respond to. Also, as writers, we tend to have an image of what the character looks like in our heads so, yes, appearance does enter into it as well. Answer: My approach is to roll the dice. Take chances with the characters (which is what I’m doing in my first SGU script). But don’t fall in love with anything. At the end of the day, Brad and Rob, the show’s creators, will have the final say. Fondy's dessert. 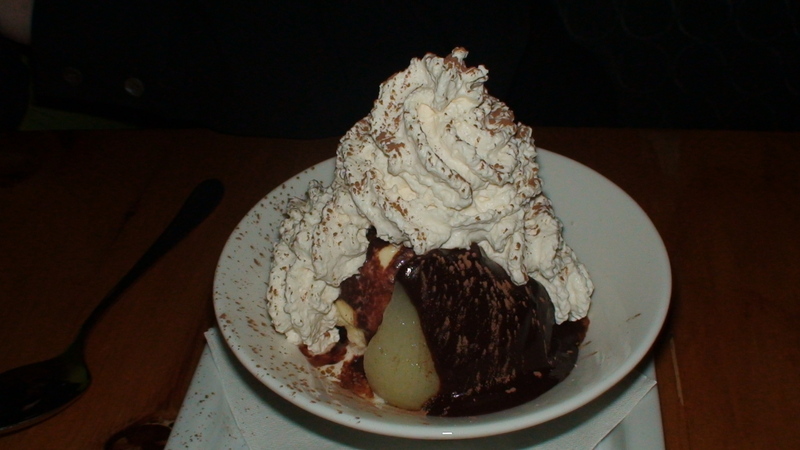 Note the fruit peeking out from beneath the chocolate and whipped cream. No monkeys were harmed in the making of this monkey waffle. The outline for the first part of the SGU mid-season two-parter: Well, despite the introduction, I did make headway by completing a first pass. It’s a pretty solid story, full of action, twists and turns. My only uncertainty stems from some of the locations and weapon systems given that the ship is still being designed as we speak. One more pass and I’ll be putting it out. The outline for the SGA movie. Paul sent me the revised version this morning. He was working on it while I was in Japan and has come up with some great ideas. We’re two-thirds of the way through and now all we have to do is figure a way out of this fine mess. Lots of fun cameos and a major contribution from one recurring player in particular that is certain to have at least one fandom faction in a frenzy. Still in the process of working out that momentous shift in the status quo that will impact the lives of our characters. I’ll be shifting my focus to this (and only this) tomorrow. The super, secret project. Which, with time, becomes less secretive but no less super. It’s a short story. I’ve found that writing blog entries is much, much easier. 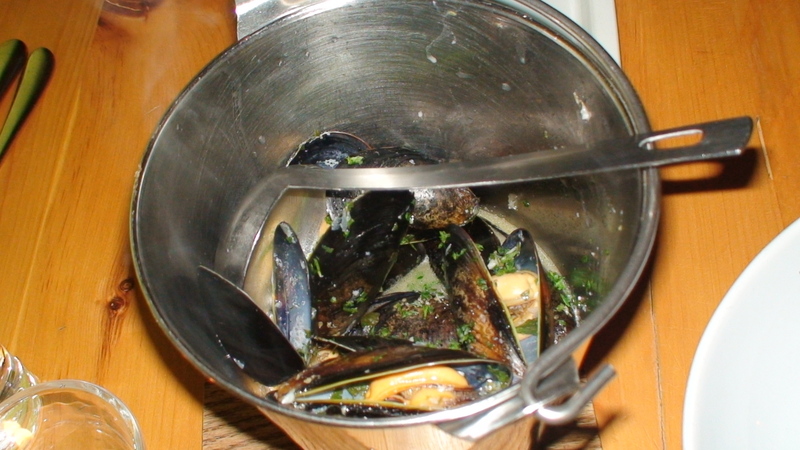 The other night, Fondy and I went to Bistrot Bistro where we enjoyed, among many other things, some terrific mussels marinieres, a tasty filet mignon, and the duck confit mac and cheese which has finally found its way back onto the winter menu. Fondy’s review of this particular dish: “Insanely good!” and “The best macaroni and cheese I’ve ever had!”. As usual, we over-ordered (two appies, three mains, and various sides) – which prompted a curious Chef Lauren to come out of the kitchen to investigate. “I should have known,”he said as he approached our table, all smiles. “With that kind of order, I knew it was either someone who had never eaten here before, or Joseph Mallozzi.” We finished with desserts. 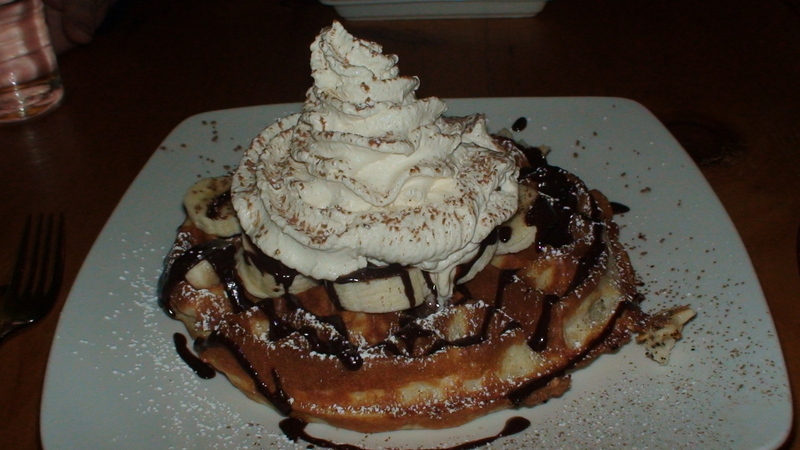 Mine, pictured above, was the monkey waffle (served with banana, chocolate, whipped cream, but no actual monkey). Fondy was amazed that, in spite of the variety of dishes we’d ordered, there was not a disappointment in the bunch. She’d enjoyed everything.